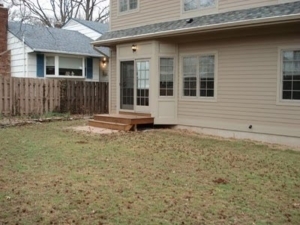 The backyard was a non-usable space with a major drainage issue. We created a design the client loved. We installed a drainage system: then we created an outdoor space where the whole family can hang out, play and entertain. 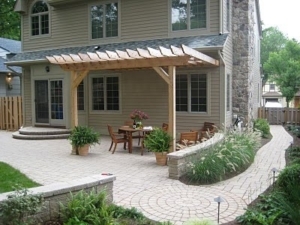 A custom free-form patio with seating walls and a pergola were constructed. 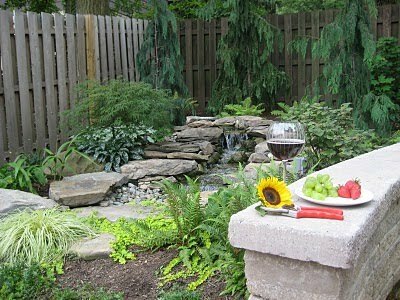 A waterfall was built to add tranquility in the environment. 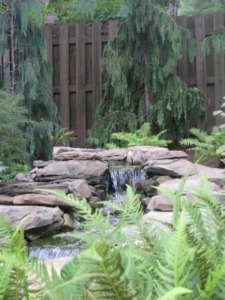 It provides calming and soothing sound of water and the plants around it, provides texture and color all year round. Perfect place to unwind after a long day at work. Sipping wine and enjoying the soothing and calming sound of the splashing water from the waterfall…. A variety of plants that complements each other in texture, color and appearance….